﻿Do you have health issues? Are you feeling stressed or depressed? Do you have fears or phobias or other issues that are running﻿﻿ your life? Or any other issues that are holding you back? The Emotion Code is a way of releasing emotions that have become trapped in the body, sometimes for many years. Feelings of fear, anxiety, grief and much more can become trapped and cause many stuck or blocked areas in one’s life, pain in the body and health issues. It is the simplest way to get rid of your emotional baggage, helping you to feel freer, happier and healthier! The Emotion Code is non-evasive, totally safe and requires little time and effort on your part. 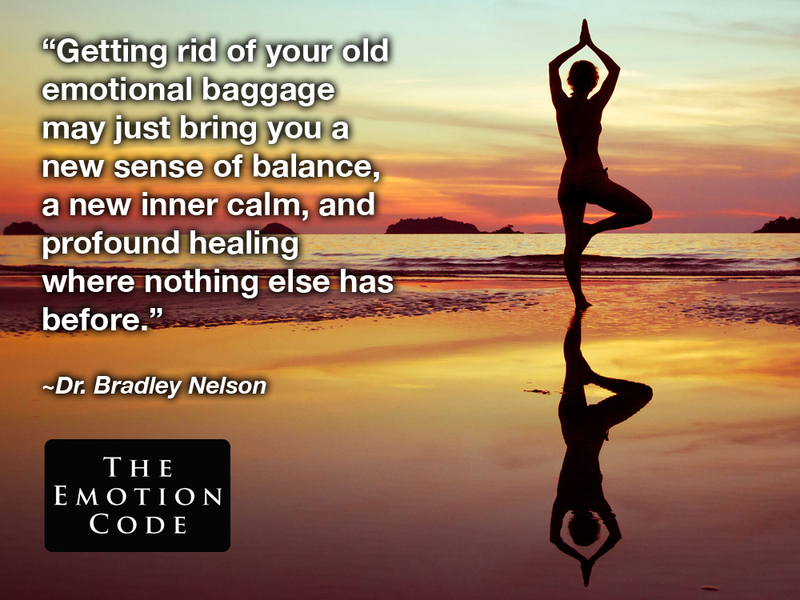 The Emotion Code was created & refined by chiropractor Dr Bradley Nelson. First a trapped emotion is identified, by way of kinesiology (muscle testing.) Then a magnet is used as a carrier for the practitioner's intention to release the trapped emotion. This is carried out by rolling a magnet down the Governing Meridian; the trapped emotion is released instantly, never to return. The process is quick and powerful, and the effects are long lasting. The Emotion Code can help you feel lighter and more free. The disappearance of health and emotional issues are often reported. Releasing trapped emotions can help restore balance to your body, enhancing your body’s natural healing abilities. The Emotion Code has been found to benefit: ADHD, Anxiety, Back & Neck Pain, Fybromalgia, Headaches, Hormonal Problems, Insomnia, Skin problems, Stress, Tennis Elbow and much more. The benefits are endless, also resulting in freedom from fears, emotional & spiritual blocks. It can create a major leap forward in ones life. There is no limit to the benefits that a session can have. Janet qualified as a Certified Emotion Code practitioner in January 2014. The results of an Emotion Code session can be profound and life changing. If you would like to book an appointment, please contact me on 07795 483462, or by email at info@janetthornton.co.uk. If you require further information about the Emotion Code, please visit www.healerslibrary.com.